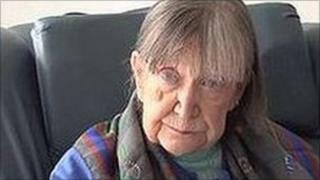 Elisabeth Beresford, the creator of The Wombles, has died, her family have announced. Born in 1926, she passed away on Christmas Eve in the Mignot Memorial Hospital, in Alderney in the Channel Islands, according to her son. Her creations featured in a series of books as well as a TV series. Many of the characters in the stories stemmed from her family. In 1998 she was made an MBE, remarking: "The Queen's a mad Womble fan." She served as a Wren during World War II before finding work as a ghost writer on BBC Radio's Woman's Hour. In her spare time she wrote fiction, starting with romantic stories for women's magazines. The Wombles books were inspired by a comment made by her daughter during a Boxing Day walk on Wimbledon Common. In a November 2010 interview with BBC Guernsey, she described the moment: "Over Christmas I had to keep the children quiet as their grandparents were visiting, so on Boxing Day, after the grandparents left, we got in my car and went to Wimbledon Common. "The three of us ran backwards and forwards screaming at the top of our voices and it was my daughter who said to me 'oh ma, isn't it great on Wombledon Common?' and I said 'That's where the Wombles live.'" This idea led to a series of books. Her association with the BBC led to Woman's Hour producer Monica Simms suggesting she take her idea to television company FilmFair who produced television for the BBC and, with the help of Ivor Wood puppet versions of the Wombles were made and Film Fair produced the series with Bernard Cribbins providing the voices. The theme tune for the show was written by Mike Batt and Elisabeth said "it was Mike Batt who invented recycling [for the Wombles]", but she added: "I'm all for recycling." Many of the characters in the stories stemmed from Elisabeth's family: "Great Uncle Bulgaria was my father-in-law, Madame Cholet was from my daughter Kate... my brother had two children and John was a very clever boy who went to Wellington College, which is where Wellington came from... and Orinoco I just picked off a map."